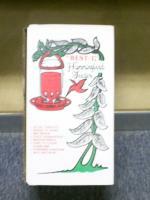 I been using the Best-1 hummingbird nectar for years, the hummingbirds love this nectar better than anything I've ever used. I learned about Best-1 from a friend who introduced me to her world of hummingbirds. I watched her feed and raise countless happy creatures. Now she's gone and I carry on taking care of her legacy. I love this food as do all our hummers! My hummingbirds come every day and drink from the feeder! They love it. Great stuff! Hummers really like it. Unfortunately around the Chicago burbs we can't find it in a store. 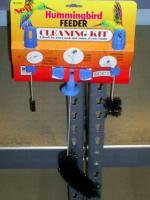 It's the best hummingbird nectar I have ever used. This is the best hummingbird food that I have ever tried. This is the best hummingbird nectar I have ever used. It is very easy to prepare. I have more hummingbirds than ever! Best -1 Instant Humming Bird Nectar is the best...The Hummers love it...It is like "Humming Bird Crack"...It is all natural and I have all 4 spots on my feeder full with two Hummers hovering waiting their turns...This stuff is great! A friend had used this product in California and I was so happy to find it. A huge difference with grassing hummingbirds. They love it. 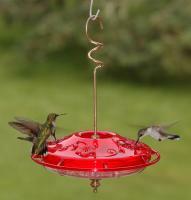 Quality product at a reasonable price and the Hummers seem to love it! This hummingbird nectar has created resident hummers who monitor the visitors and only allow "friendly" hummers to feed at their feeder. These resident hummers create a fuss when I remove the feeders to replenish them. The order time and turnaround shipment is very prompt, thank heavens, otherwise I would have very unhappy Hummers. 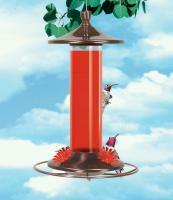 Neither the hummers or the Orioles would drink it, they would go to the one that had the plain sugar and water mixture.